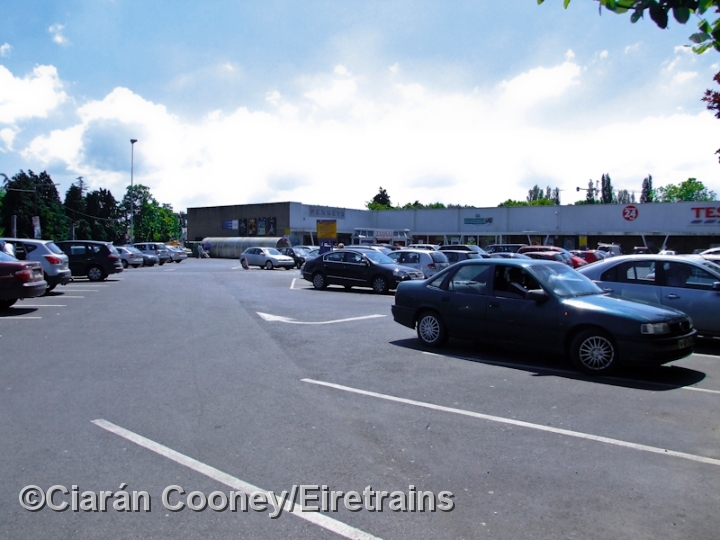 The large town of Naas, Co.Kildare, was effectively bypassed by the Great Southern & Western Railway's Dublin to Cork line in 1846. 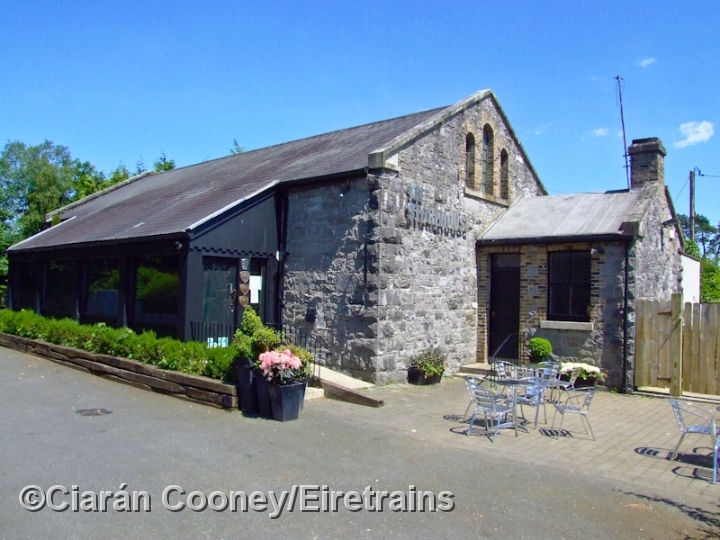 It wasn't until 1885 that the town gained its train service, however it was located on what was to become the long branch line from Sallins to Tullow, which opened throughout in 1889. 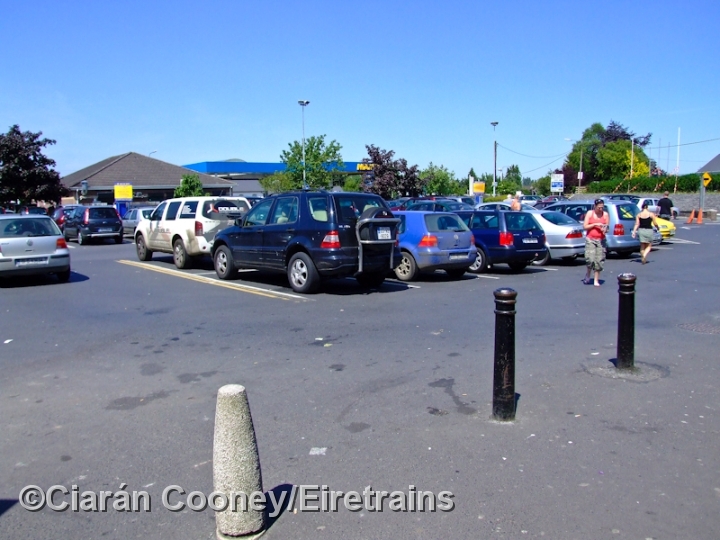 The station at Naas was large, located by the Dublin Rd, it had up & down platforms, with the main single storey stone built station building on the up side and wooden waiting shelter on the down side. 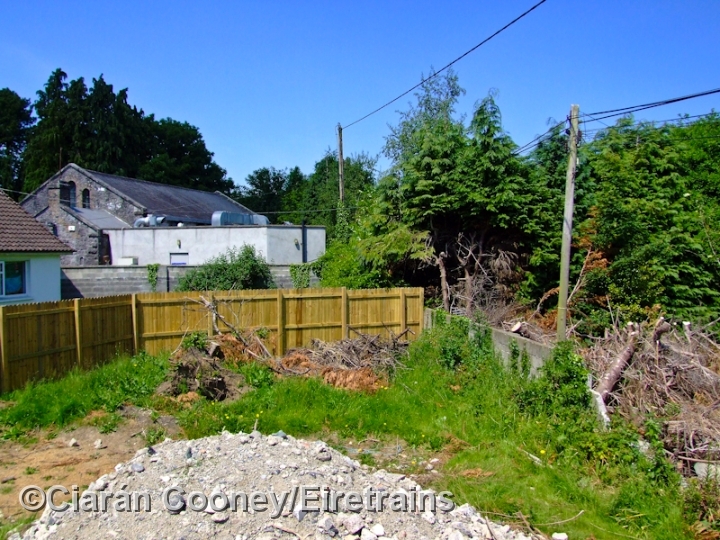 At the south end of the down platform was the typical brick built GSWR 20-lever signal cabin. 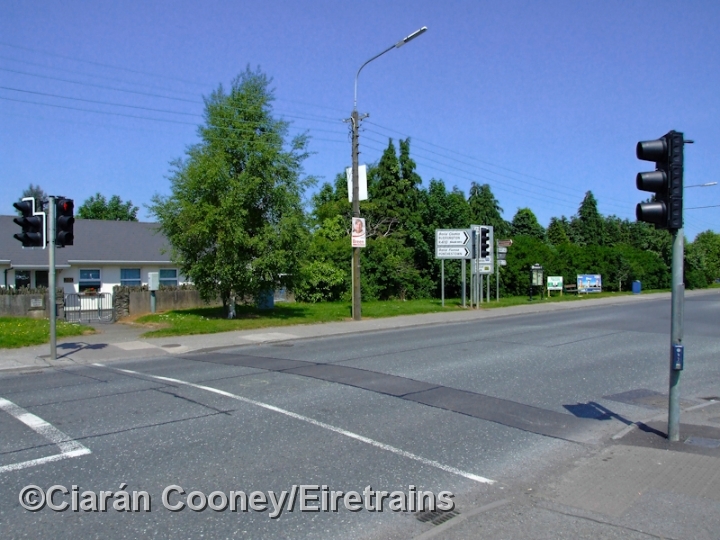 The Dublin Rd at the northern end of the station crossed the former double track line from Sallins (singled in 1937) via an overbridge, demolished in 1953 and replaced by a levelcrossing. 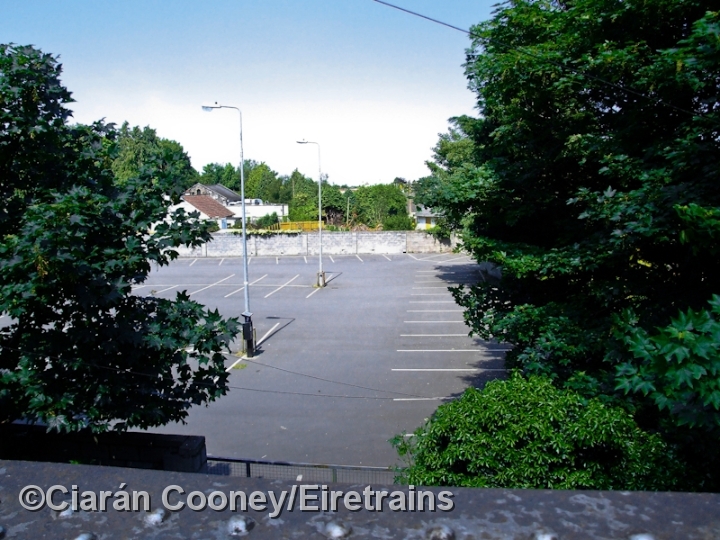 The goods shed and yard was located at the south end of the station on the up side, beyond which was another road overbridge, which remains in situ today. 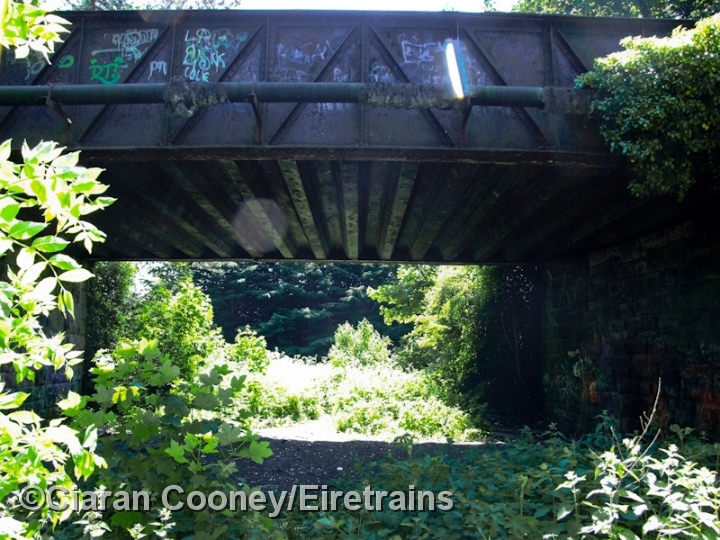 The long branch was never heavily used and passenger services on the route were suspended in 1944 following coal shortages. 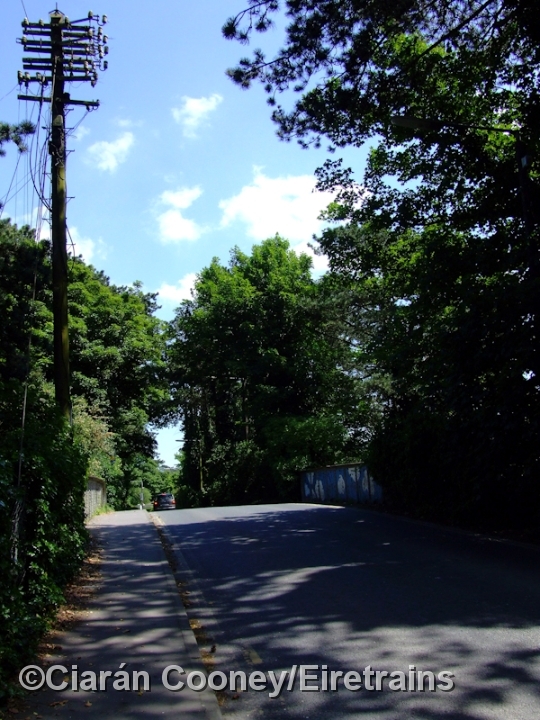 It reopened briefly only to be closed to regular passenger and goods traffic in 1947. 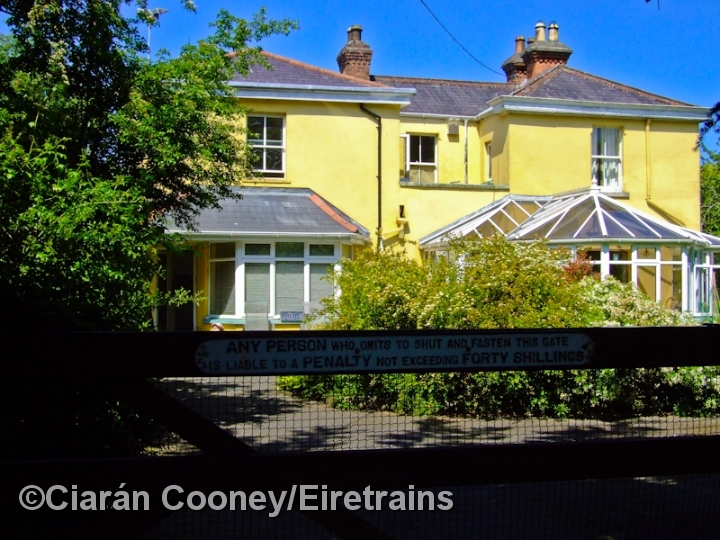 The line to Tullow remained open however for occasional cattle specials before finally closing completely in 1959. 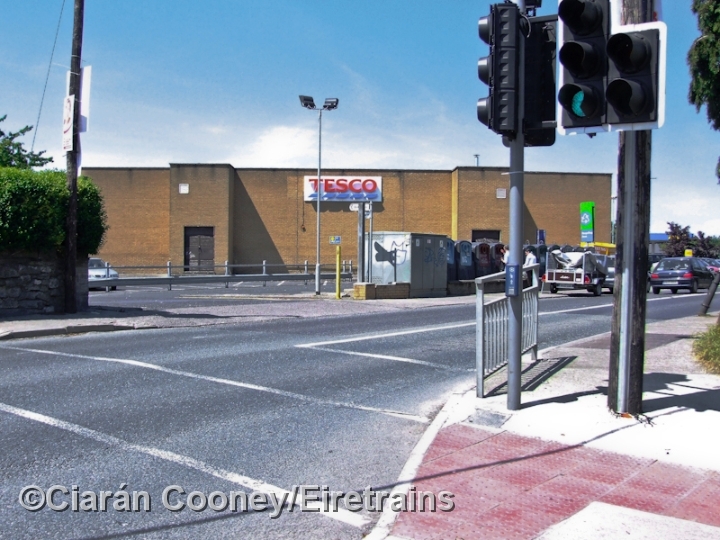 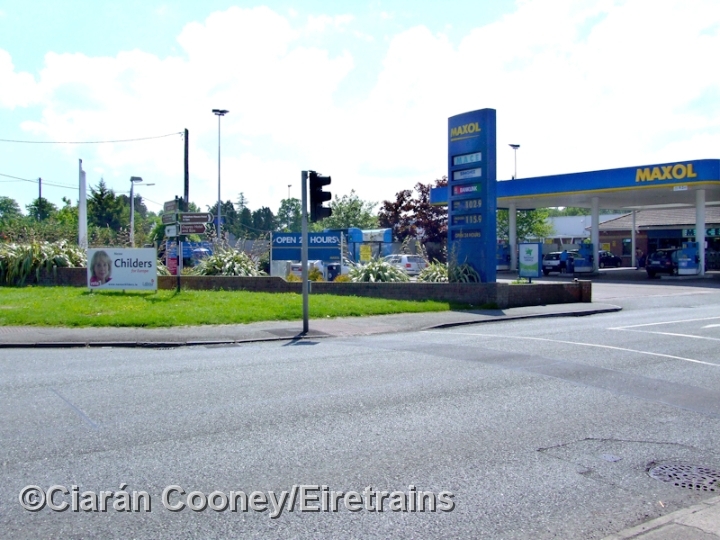 Naas Station was demolished in the 1970s after many years of dereliction, and a Tesco supermarket now occupies the site. 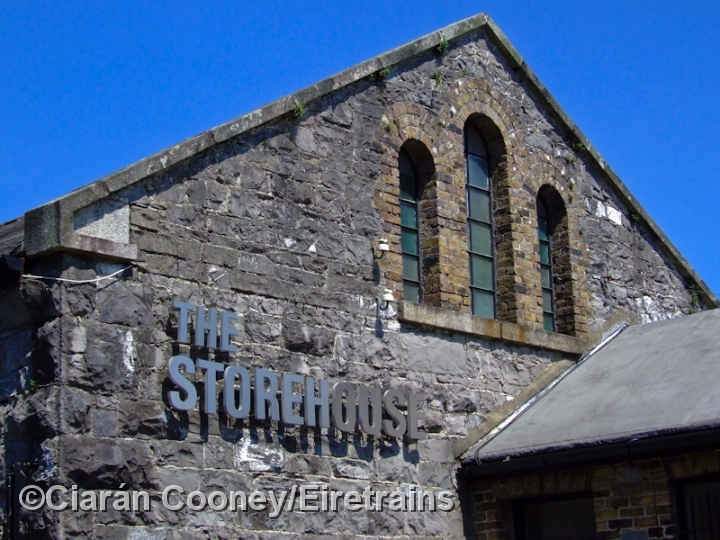 The goods shed and station masters house are all that remains of the station buildings.